The friend or family member that you give this gift to will be confused when they first unwrap this gift (assuming they don't look at the packaging). All they will find is a simple wooden box... that is until you clap your hands and the time lights up in brilliant red on the side of the box, as if by magic. 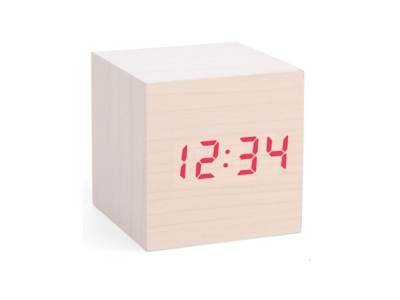 This clap on clock comes in a darker and lighter wood colour. Purchase the Magic Clap on Clock at Packed Full of Love's Online Gift Shop. 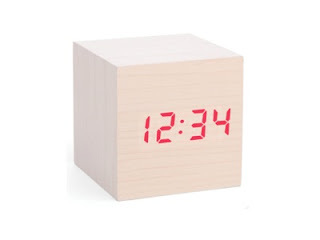 The clap on clock would look great in an office, on a desk or somewhere around the house. It's perfect for those with a wacky personality who like the little novelties in life to brighten their day and entertain their guests. Novelty items are something of a speciality for Packed Full of Love, Australia's newest online gift shop. Come and browse our web based gift shop for some great gift ideas for this Christmas.